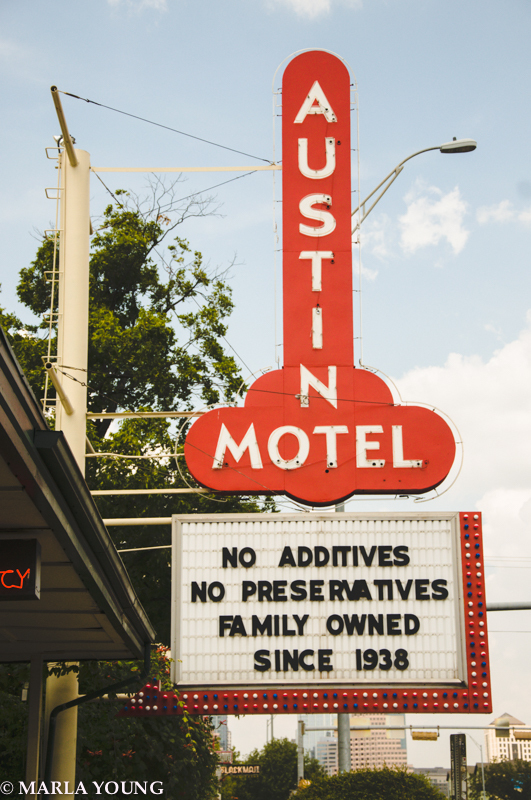 What are some of your favorite places to visit in Austin? Leave your responses in the comment section. Joe’s Bakery is a local favorite serving Tex-Mex for over sixty years. The carne guisada and anise buns are popular menu items. Enchiladas Y Mas is a neighborhood Tex-Mex spot. Enchiladas are popular. Consuelo’s Kitchen serves delicious traditional Mexican food. The Salt Lick is another popular barbecue restaurant in the beautiful Texas Hill Country. Home Slice serves New York style pizza. House Pizzeria sells pizza by the slice. The locally sourced ingredients make the pizzas very tasty. Vespaio is an Italian eatery that will not disappoint. The food is high quality and fresh. The ambience makes the meal memorable. Casa De Luz is a lovely macrobiotic restaurant . Counter Culture is an inexpensive vegan café. The mac and cheese is a popular menu item. Kerbey Lane is a vegan diner. The queso is tasty. Wink is a good choice if you want to impress a date. Blue Dahlia Bistro is a romantic café serving organic fare. Fricano’s Deli serves up the best sandwiches in town. The Liberty is a live music venue serving pub fare. Parkside is popular for oysters. Eastside Cafe serves comfort food in an adorable bungalow. Moonshine serves classic American comfort food. Fino offers a popular Paella Night on Tuesdays. Great for outdoor dining. 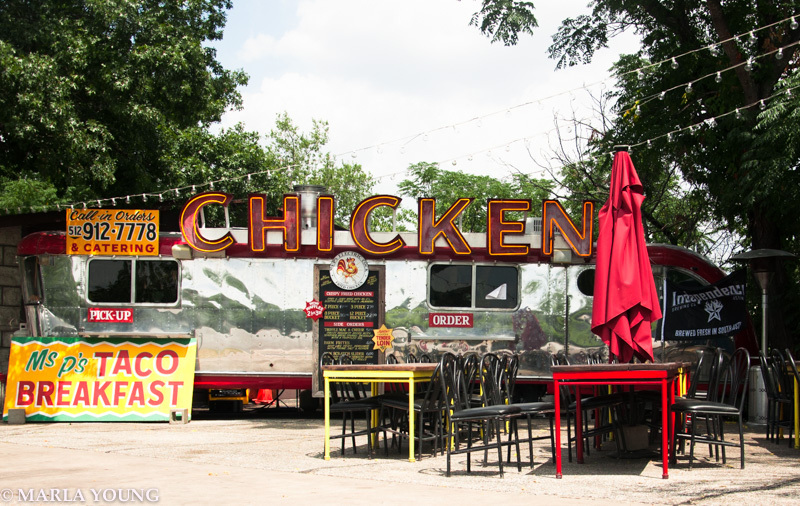 East Side King is my favorite food truck in Austin. The East side location is located inside the Liberty Bar. 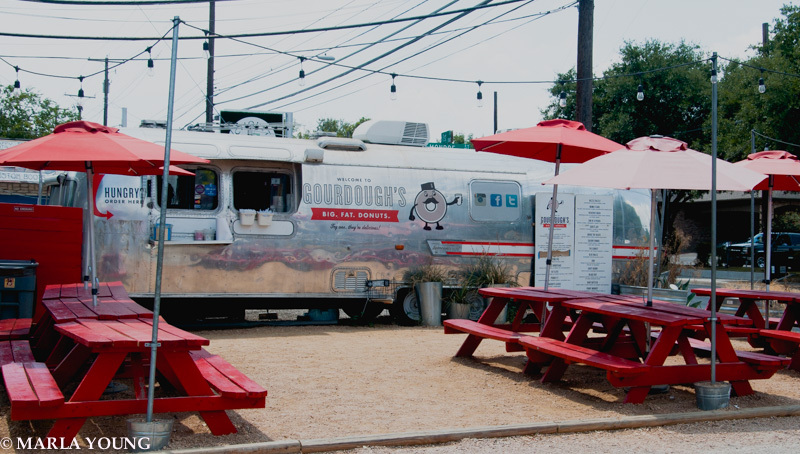 Check the website for other food truck locations. The beet fries are popular. I am crazy about the fried Kimchi. Mulberry is a wine bar with tasty tapas. Daruma Ramen is a tiny ramen shop in a cozy nook. The miso ramen is delicious. Whip is your go-to spot for Indian food. Elizabeth Street Cafe features French-Vietnamese cuisine. Food Heads cafe is tucked away in a charming neighborhood serving healthy fare. Uchi is an award-winning restaurant in a refurbished old home in South Austin. Taco Shack is a popular taco shop frequented by locals. P Terry’s Burgers is a burger joint featuring a delicious veggie burger. Juice Land is my pick for healthy juices and smoothies. Rio Rita is your swanky late night coffee and espresso bar. The Steeping Room is a café serving different teas. Bennu is a 24-hour coffee bar offering french press style coffee and designer mochas. Houndstooth Coffee is my favorite coffee shop in Austin. Skinny Limits is my favorite smoothie shop. Dolce Neve Gelato is the best gelato in Austin. The owners are from Italy. Need I say more? The hazelnut is fantastic. Dolce Vita is a gelato and espresso bar in Hyde Park. Capital City Bakery is the best vegan bakery tucked away in a cute bungalow. Gourdough’s Donuts are awesome dessert style donuts. Teo Coffee and Gelato is an adorable cafe serving delicious gelato. Farmer’s Market on Saturday mornings in downtown Austin. Check the schedule for dates and locations. Book People is a cozy bookstore. Check out the book signing schedule. Serve is a kitchen and home goods store. Toy Joy sells cool toys and gifts. Big Top Candy is great for party favors. Allen’s Boots carries a large inventory of cowboy boots including my favorite brand, Frye boots. JM Dry Goods specializes in beautiful hand-selected pieces from Mexico and other countries. Take Heart is a home decor boutique. Eliza Page is a local jewelry store with beautiful engagement rings. Underwear is a cute boutique with pretty lingerie. Wee is an adorable kid’s shop. Tears of Joy Sauces carries a variety of hot sauces. Take some home for gifts. By George is a designer women’s fashion boutique. Stag is a stylish men’s boutique. Feathers Boutique specializes in vintage clothing for women. Spartan is an adorable gift boutique. Aviary is a hip home decor store. Uncommon Objects is an antique and vintage boutique. Room Service Vintage is a funky vintage decor store. Eco Wise is an organic store. Service is a popular men’s clothing store. Moss is a designer consignment boutique. The Paper Place is a fun stationary and card shop. Waterloo Records is a massive music store. Faraday’s is a well-stocked kitchen supply store. Gorin Bros Hat Company is a great shop to pick up a fedora or cool hat. Texas State Capital is a beautiful building, and the grounds are perfect for a picnic. Blanton Museum of Art is home to the Guttenberg Bible. Alamo Cinema features independent and repertory films. Friday Night Lights Tour is a must for fans of the hit television show. Mount Bonnell offers the best view of the city skyline. The Oasis is the best place to watch the sunset overlooking Lake Travis. The food is mediocre, but the view is breathtaking. Baylor Street Art Wall is one of the largest graffiti walls in town. A great spot for colorful photographs. Congress Bridge is the home of the largest bat colony in North America. 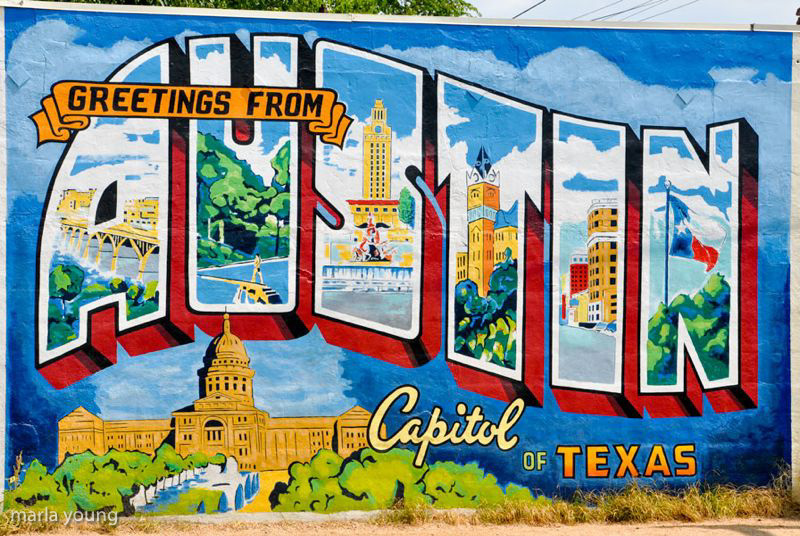 Austin City Limits is an Austin institution. Check the schedule for events. The Elephant Room is a jazz club in an unusual place. East Side Showroom is an eclectic venue for live events. Mohawk is a live music venue. Sixth Street Entertainment District is a popular entertainment district. 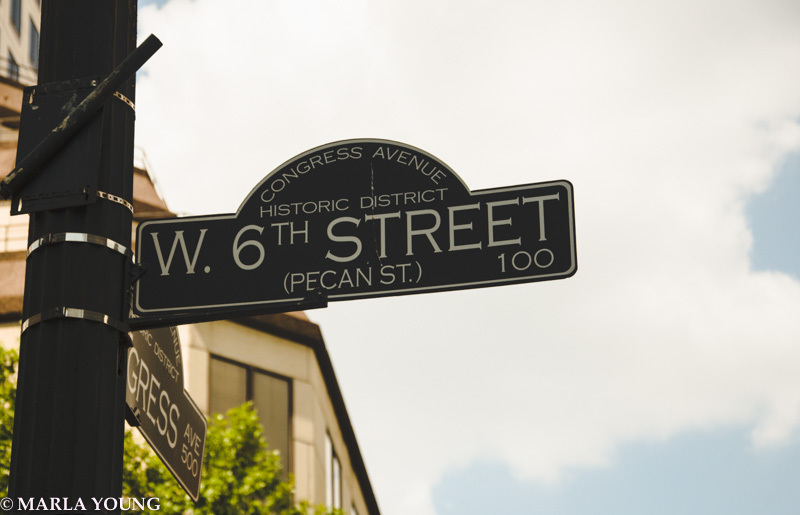 Rainey Street is the locals version of sixth street. Lady Bird Lake is great for recreational activities including stand up paddle boarding, bike and running trails. Zilker Park is a beautiful park with trails, paddle boats, and other outdoor activities. Grab some grub from one of the food trucks and enjoy the view. The Hotel San Jose is a stylish hotel in the hip South of Congress Neighborhood. Hotel Saint Cecilia is a sprawling Victorian mansion with cute poolside bungalows. The Driskill reminds me of old Hollywood ambiance. The Four Seasons Resort sits on Lady Bird Lake. The Sunday brunch is famous. Kimber is an ultra modern boutique hotel. Lone Star Court is a retro inspired hotel. Hotel Ella offers boutique accommodations in a historic mansion. Heywood is a charming seven room bungalow bed and breakfast. Austin Metro Rail runs weekdays. 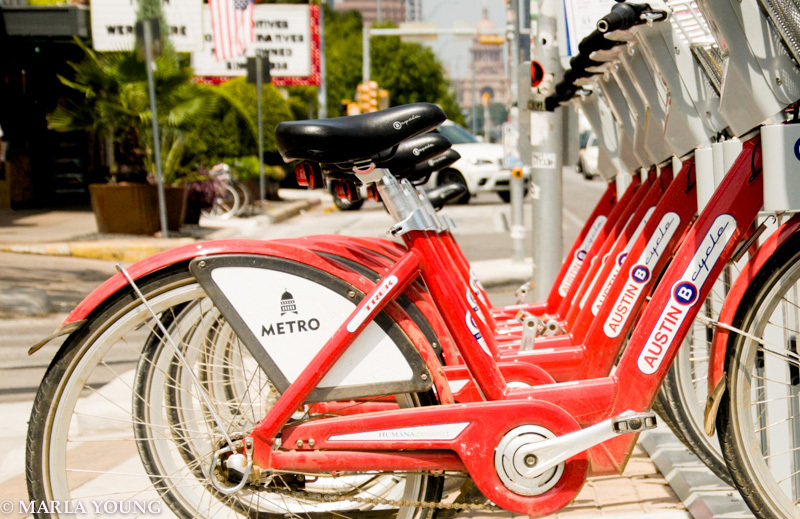 Austin B Cycle is the best way to see the city. 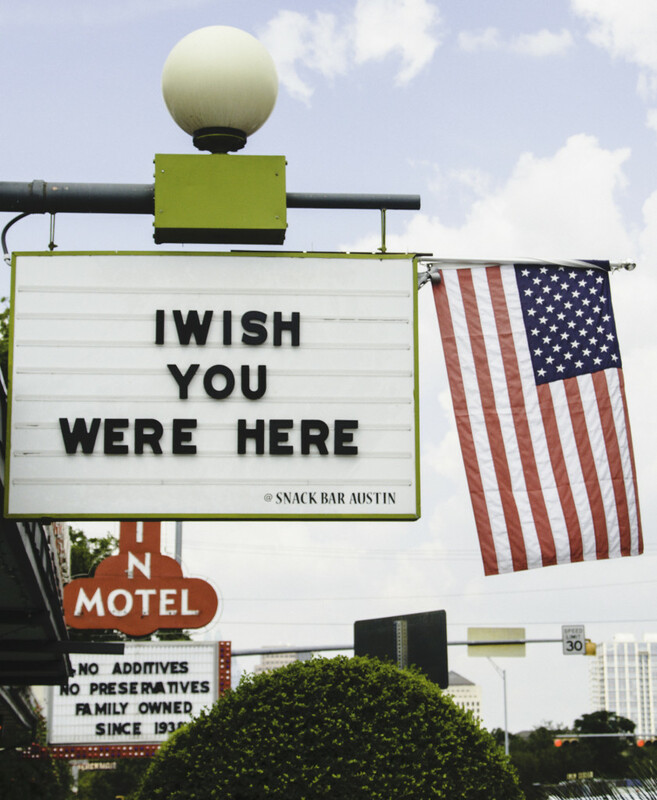 What are some of your favorite hotspots in Austin?